UAVOS and Stratodynamics Aviation have announced that the two firms’ joint project, a stratospheric balloon-launched unmanned aerial vehicle (UAV) called HiDRON, has entered the flight test program stage. HiDRON is designed to collect high-altitude atmospheric data. The first flight lasted 1.5 hours and reached an altitude of 6000 m. HiDRON’s vertical speed averaged 2 m/s during the return flight, much slower than typical payload parachutes which often reach speeds of 4 m/s or higher. The test program included: proving the stability of the primary radio link and the backup Iridium satellite system; stabilization and control of the aircraft after the balloon was released; testing of the balloon release systems; and monitoring the influence of icing conditions on the UAV controls. During the flight, and with real-time monitoring of telemetry data, the autopilot parameters were adjusted to ensure the safe execution of various flight modes. The development team designed two balloon release systems to ensure redundancy. 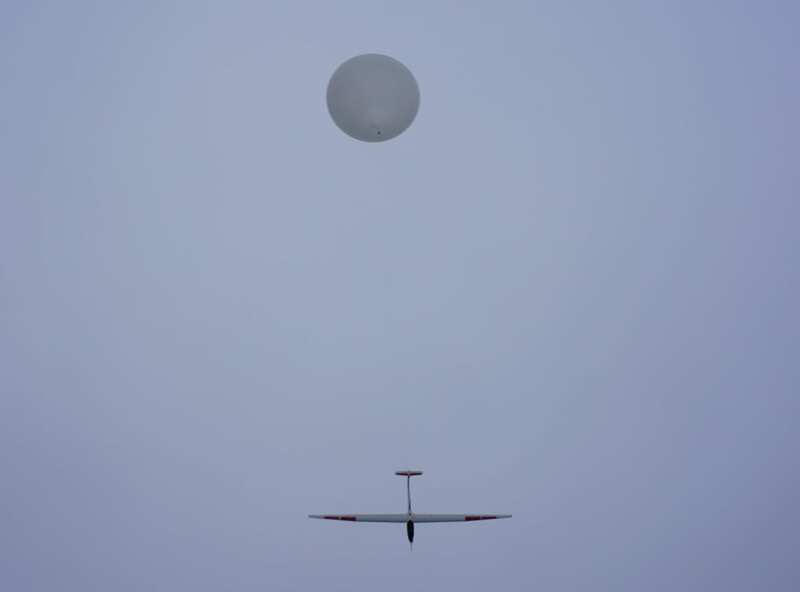 The release system provides a controlled release of the HiDRON from the balloon at the targeted altitude, and can also be deployed to mitigate icing risk, for example when passing through cloud layers at low altitudes. The HiDRON has a wing span of 3.4 m. The current maximum take-off weight is 4.5 kg with an integrated payload of 1 kg. Further development plans include increasing the payload weight and target vertical speeds of 3-4 m/s on ascent and 3 m/s or lower on descent, depending on the altitude.